Description: Aistin Blue boards are specifically designed for low energy, battery operated wireless IoT and wearable solutions. These small, round devices measure only 32 mm in diameter, or 27 mm, if screw pads and trace points are not needed, and are as thin as just 4.2 mm. It is a very integrated and simple-to-use modular sensor system. The system has Bluetooth LE with an integrated crystal antenna, keeping it compact and avoiding external components. Blue boards work out-of-the-box with an Android application. Together with this application, Blue can be used immediately as data logger; sensor readings can also be seen instantly on the screen. Size matters, Blue is small enough for wearables, including wrist-worn devices. Blue boards include sensors for detecting 3D-acceleration, 3D-magnetism, 3D-rotation, humidity, air pressure and temperature; even more functionality is available, using add-on boards and flexes from the Aistin family. More info about available variants will be available soon. For product developers, sensor drivers are available at no charge. Application programming is easy with Nordic Semiconductor's tool set. Blue SW can be also developed with ARM MBED. We at iProtoXi use Aistin Blue as a platform for customer projects, where we adapt it to perfectly fit the customer's specific needs. 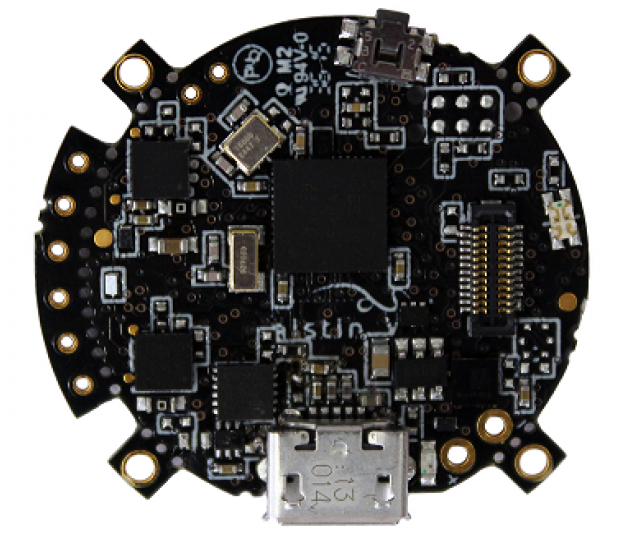 Aistin Blue boards integrate low energy Bluetooth (BLE) with crystal antenna based on Nordic Semiconductor nRF51822 or nRF52832 SOC. See details from "Board Core" table below. Most Blue variants have also 2 Mbit I2C EEPROM memory. Blue Boards have build-in sensors for detecting motion, humidity, temperature and air pressure. Solution can be extended, but in same time kept still tiny by using Aistinbus24 add-on-boards or flexes. See variants from "Sensors in board" table below. 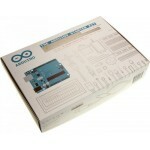 Aistin Blue supports firmware upload over-the-air via Bluetooth LE. Software development tools are provided by Nordic Semiconductor (downloadable for free). Software can be also developed with ARM MBED. Board supports also Tag-Connect connector less interface (TC2030) for flashing and debugging. ** buses/lines are optional and are not all usable at the same time. 18 GPIO lines total. Blue application (firmware) programming is easy with Nordic Semiconductor's tool set. There are options to use Keil or Eclipse IDE. 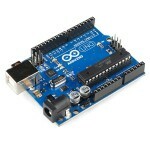 It is possible to develop Blue application (firmware) also with ARM MBED. When using ARM MBED, firmware needs to be flashed to Blue either using DFU (needs ZIP format) or by using debugger and TagConnect -cable. Check your board version for right firmware. Use DFU (firmware over the air update) tool to update the firmware. Kionix-iot-firmware-v1.zip, Kionix sensor development firmware that is targeted to be used with Kionix IoT sensor development kit SW (Updated 13th Jul 2016). Kionix IoT SW dev kit is available on request for Blue customers. Please send mail to sourcesupport (at) iprotoxi.fi. Works for all Blue variants. Note, if your variant is missing particular sensor, the sensor value is shown as zero. Note: Aistin Blue Android source code (B4A) is available on request for Blue customers. Please send mail to sourcesupport (at) iprotoxi.fi. Ideal for wearable device development, State-of-the-art movement detection and environmental sensors. Solution with all the needed development tools, demo applications, examples and design cover mechanics. The Aistin Blue is small enough for wearable devices and makes possible to create your own prototype without making any custom hardware. Prices and where To Buy? Interested of tailored version of Aistin Blue? Are you looking perhaps something that is almost like Blue, but you would want to either drop, add or change some features? We are happy to help you. We can tailor a custom version of the Blue boards for you needs. Customization scales form diffrent build variant to fully custom solution, where also the board layout and size can be designed to match your needs. We can also tailor the firmware and/or phone application for your use case. If you need custom mechanics and perhaps industrial design, we can help you to find the right solution. Are you looking perhaps a complete wearable solution and you want to save time and money utilizing existing wearables/IoT platform instead of making own HW and firmware design from scratch? Please contact to info(at)iprotoxi.fi and we will explain the Blue license model benefits.